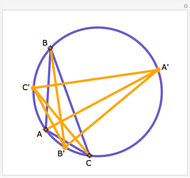 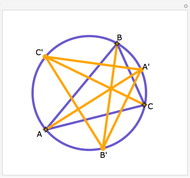 Extend the angle bisectors of the triangle ABC to meet the circumcircle at A', B' and C'. 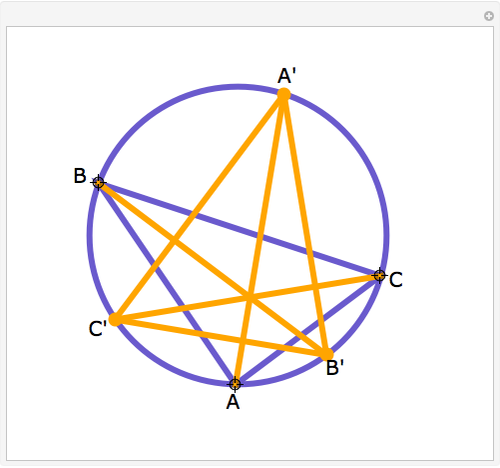 Then AA' B'C', BB' A'C', and CC' A'B'. 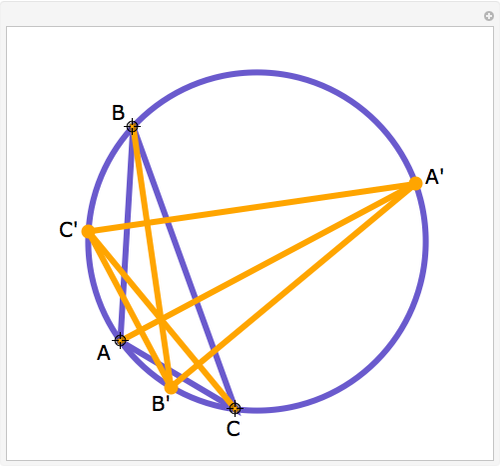 Jay Warendorff "Angle Bisectors on the Circumcircle"